Large Gardner ear trumpet. 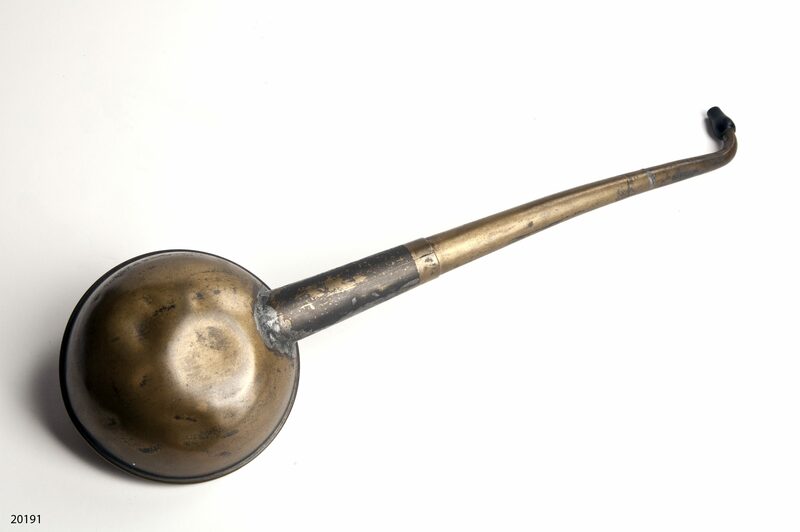 Ear trumpet has bowl shaped area with tapering tube extending to ear piece. Green-brown in color. This Gardner ear trumpet was created in the 19th century in Edinburgh, Scotland. It was owned by James Cotter, who kept it in his personal collection. In 2008, Mr. Cotter's wife, Mrs. James Holland Cotter, donated this porringer and other medical instruments and paraphernalia to the Warren Anatomical Museum. Gardner, “Gardner ear trumpet, 19th century,” OnView: Digital Collections & Exhibits, accessed April 22, 2019, http://collections.countway.harvard.edu/onview/items/show/17346.